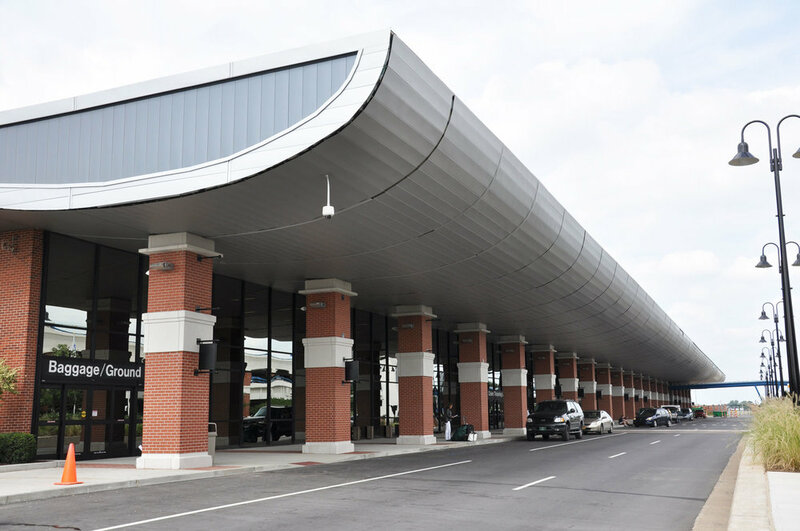 The Bluegrass Regional Airport Terminal received a much-needed face-lift in the months leading up the Alltech FEI World Equestrian Games. Although the update was conducted during normal business hours, our team coordinated with security to insure that passengers at the airport were subjected to minimum disruption. 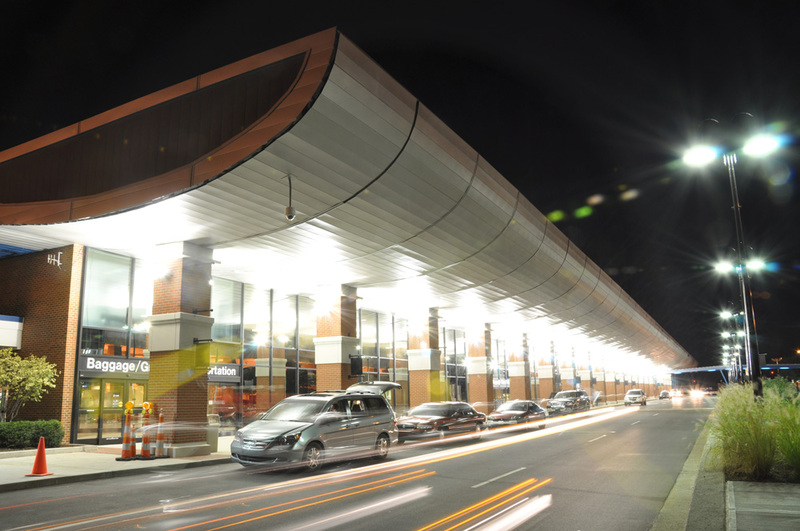 The terminal exterior had remained largely unchanged since opening in 1977. The modernized façade includes an upward arched roof, inviting visitors to step into horse country. Brick and stone veneer was applied to the support columns in keeping with prominent local architecture. Additional security features were included, as well, helping passengers feel safe in the course of modern travel.